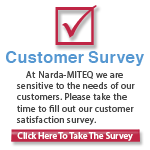 L3 Narda-MITEQ designs and manufactures a broad line of digital PIN diode switches covering multi-octave bands from 80 MHz to 44 GHz. We have extensive experience in switch design and development for critical space, telemetry, transceiver, radar, and EW applications. We specialize in offering customized solutions that meet your needs for applications that require extremely fast switching time. 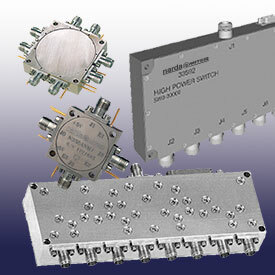 Our solid-state switches incorporate a wide variety of techniques to achieve high performance over a wide range of specification requirements. Our PIN Diode Switch solutions are backed by L3 Narda-MITEQ's generous warranty and most are available as RoHS Compliant components.